Learning doesn't need to be boring! Stimulate your children's imagination with the exciting K'Nex 100 Model Building Set. Each box contains 863 classic parts and pieces that can be connected to each other to form different structures and automobiles. 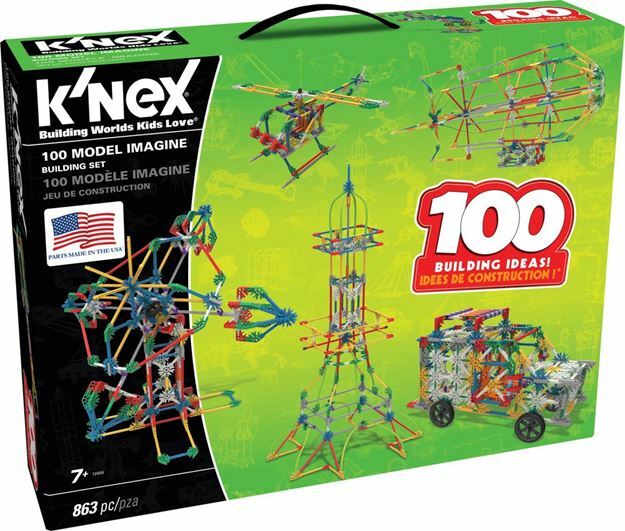 K'Nex 100 Model Building Set consists of plastic rods and connectors which can be built into cars, planes, sea creatures, and more. Includes a portable suitcase box that acts as handy storage to help keep all the parts organized in one place. Part of the Imagine range. Age 7 + years. Distributed in New Zealand by Holdson.